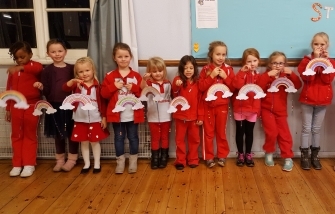 10th Hastings Rainbows have been busy in their new home at St Helens church hall. Recently they have all made their Promise Mobile's to help them learn their promise and to learn what the promise means to them. 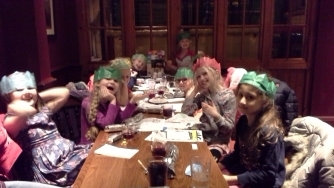 To round of the year 2016, The rainbows went for a Christmas party to Brewers Fayre. 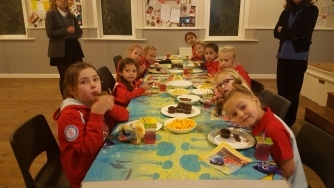 Where after exhasting themselves in the play area they then sat down to enjoy their meal and dessert. 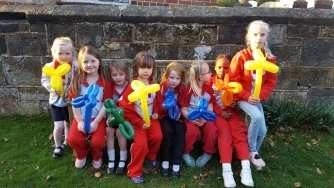 Rainbows with balloon shapes made by Young Leader Ellie.